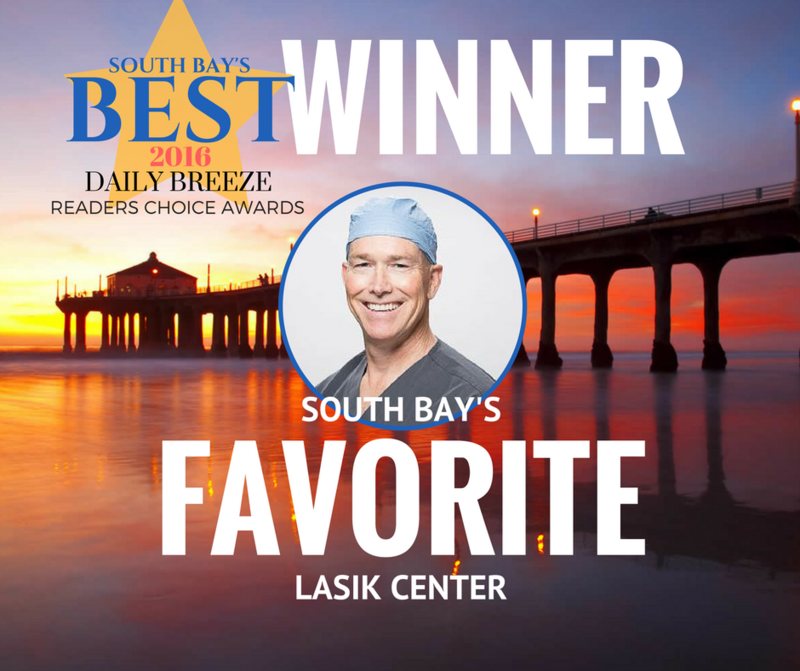 THANK YOU to the readers of The Daily Breeze for voting Maloney Vision Institute South Bay’s FAVORITE LASIK CENTER! We’re especially honored by this recognition because although the South Bay is part of Los Angeles County it can often seem a world and one heck of a drive on the 405 away. We know how hard it can be to leave “The Bubble”! THANK YOU to our wonderful patients from all 17 South Bay cities and a HUGE thanks to the outstanding optometrists who share in the care of our LASIK & cataract patients from there. The Daily Breeze is a print and digital news media company based in Torrance, California. Its coverage area includes the South Bay and Harbor Area cities of Los Angeles County “from LAX to LA Harbor,” including the communities of Carson, El Segundo, Gardena,Harbor City, Hawthorne, Hermosa Beach, Lawndale, Lomita, Manhattan Beach, Palos Verdes Estates, Rancho Palos Verdes, Redondo Beach, Rolling Hills, Rolling Hills Estates, San Pedro, Torrance, and Wilmington.